The vestibular system deteriorates as we age, and as a result many older people begin to feel unsteady. Dizziness is a common symptom affecting about 30% of adults over the age of 65 and 1/3 of adults over age 65 fall each year. 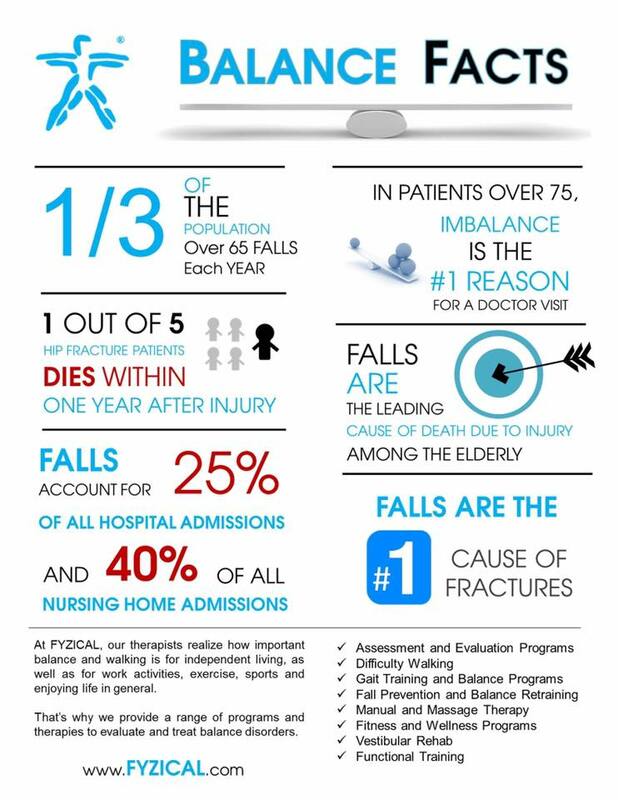 Falls can take a serious toll on seniors health, quality of life and independence. However, falls are NOT a normal part of aging and are preventable! The first week of Fall each year is Falls Prevention Awareness Week with the goal of raising awareness about how to prevent falls among older adults.